Flip a coin. 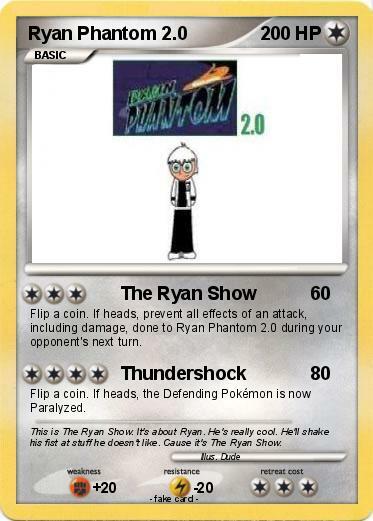 If heads, prevent all effects of an attack, including damage, done to Ryan Phantom 2.0 during your opponent's next turn. Comments : This is The Ryan Show. It's about Ryan. He's really cool. He'll shake his fist at stuff he doesn't like. Cause it's The Ryan Show.